Sage Communications has the pleasure of working with innovative clients that are developing solutions for some of the world’s biggest challenges. This week, we would like to highlight a client that not only provides a bevy of technical solutions and services to federal agencies, commercial entities and large healthcare systems but also works to improve the lives of veterans. 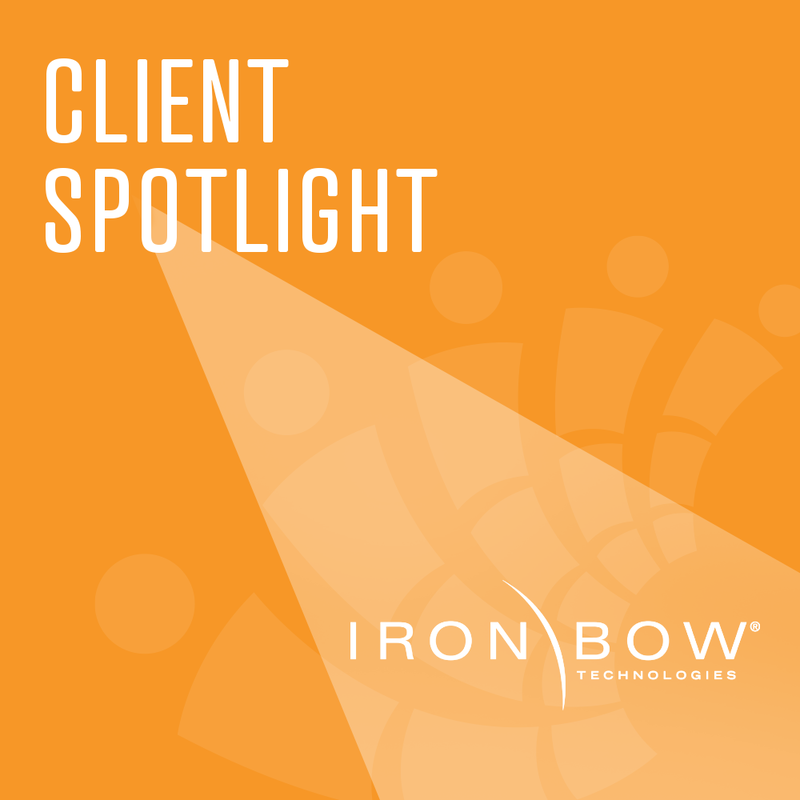 Iron Bow Technologies, based in Herndon, Va., partners with such innovative companies as Dell EMC, Cisco, HP, Intel and Microsoft to provide IT solutions to government, commercial and healthcare clients. Iron Bow and its cast of engineers and subject matter experts, partner with clients from planning and implementation through ongoing maintenance and management to deliver solutions that are strong, flexible and targeted to their client’s mission. The company takes pride in the fact its solutions experts understand the leading edge of every type of technology from IoT, cloud and virtualization to cybersecurity, networking and data management. Sage began working with Iron Bow at the beginning of 2017, providing strategic social media and blog content support. Since then, Iron Bow has grown into a billion-dollar company with satellite offices in Maryland, Virginia, Florida, Washington and Hawaii. Most recently, Iron Bow Healthcare launched another of its own telehealth products. The vClinic is a direct connect, cloud ready video solution designed for use in applications ranging from patient monitoring to general clinical settings. Beyond that, Iron Bow’s passion for helping veterans led them to partner with paws4vets, an organization which places customized assistance dogs with veterans who suffer from post-traumatic stress, traumatic brain injury, military sexual trauma and other psychological, neurological and/or physical disabilities. Assistance dogs require two years of training prior to being paired with a veteran and cost approximately $62,000. Iron Bow’s support helps provide the training, veterinarian and staff expenses, food, equipment and materials to the sponsored teams.